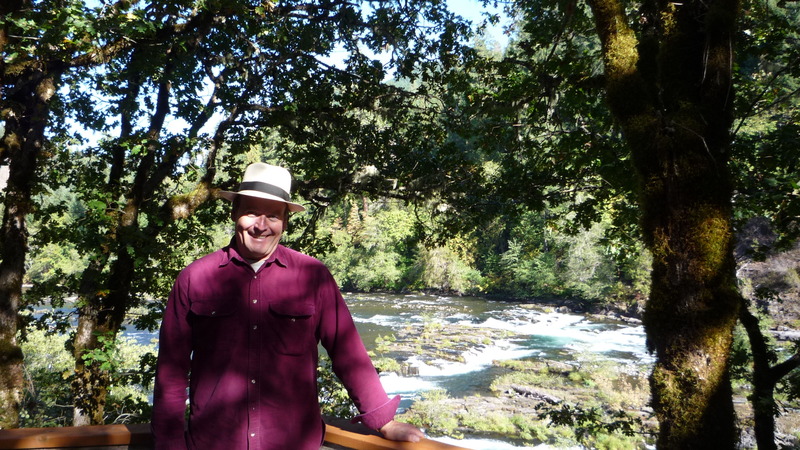 Beautiful Indian Summer here in Oregon. Rained a bit this am, but forecast is for 10 days of sunshine (can we really believe that)?? Wayne is standing in this picture with his new purchase! Up until 2 years ago, all our wines were pressed using two of these Italian bladder presses…what can I say…it is bittersweet, like losing an old friend. 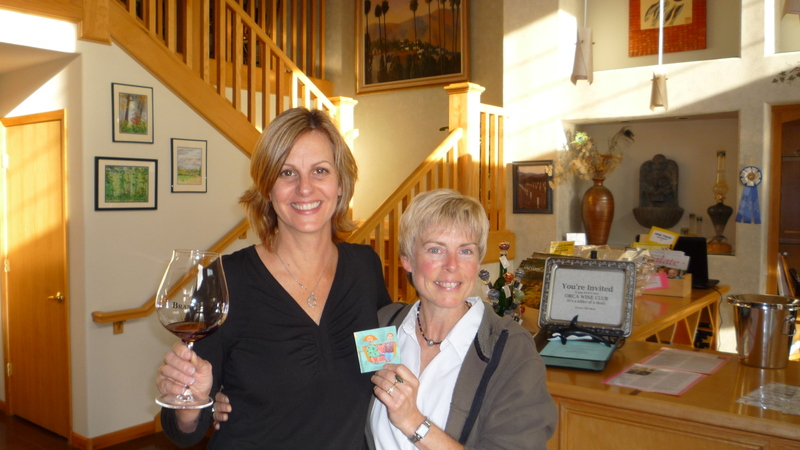 Visitors came by the winery last Wed. Cyndi and Lenora from Newberg. (Cyndi is a wine buyer from Fred Meyer and Lenora works for Oak Knoll, they both do many other things in addition to that). If you get a chance to meet these two, you will be in for a wonderful surprise (and lots of fun). Thanks for lightening us up! 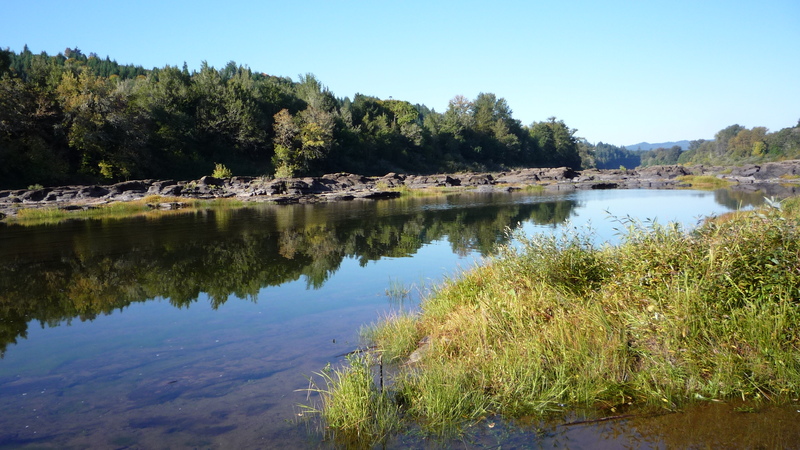 Since Elkton is so small, (240 Population), folks kind of wander in…. 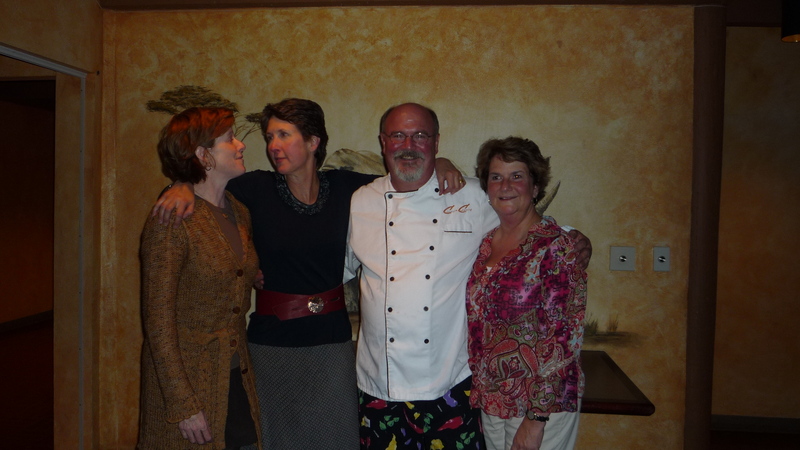 Marty Tomaselli from our local restaurant, stopping by to share words of wisdom! Estate Vineyard on Friday. So…I need to get my act together and get a crew put together to help me raise the bird netting. In the meantime… more and more grapes. Please check out our new web design, it is not completely finished, but getting there! Relaxing at the Steamboat Inn..our first day off in however long I can remember. 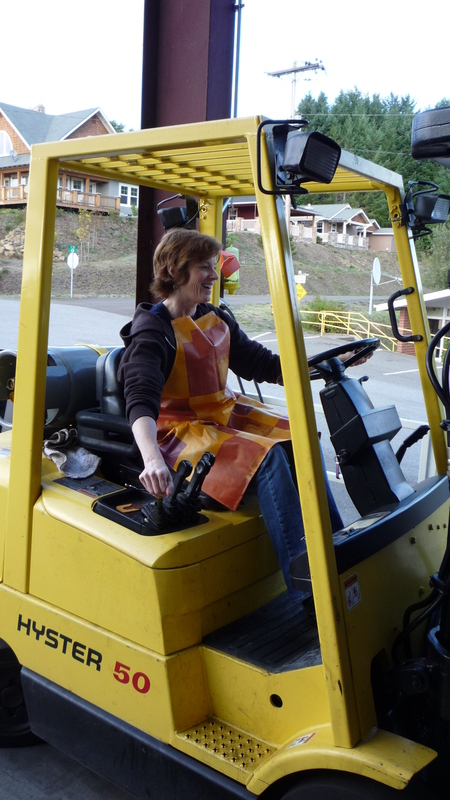 Vintage is shaping up to be fruit delivered all at once….warm day today, keep bringing them on! 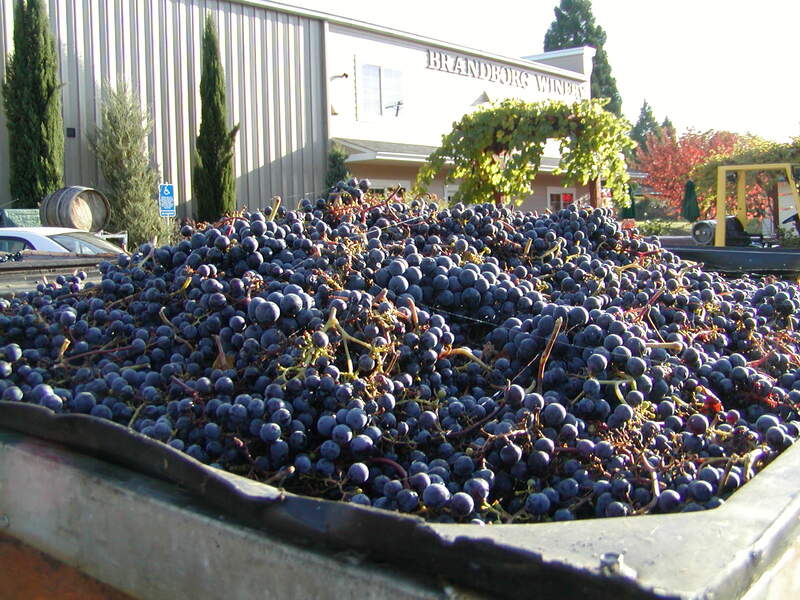 Off to get a sample of our own 5 acres Estate (Ferris Wheel Vineyard), pinot noir. Last checked it was at 19 brix… Will report tomorrow what it is currently. 10/9 and 10/10, I spent 11 1/2 hours each day out in the vineyard applying our bird netting…whew…glad that has been completed. Real satisfaction knowing our crop won’t go to the birds! 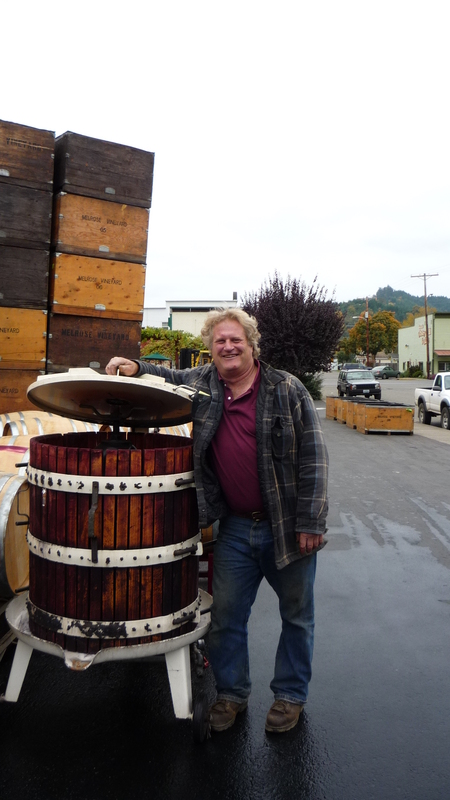 Yesterday, Terry processed 7 tons of pinot noir from the South Fork Vineyard (maintained by Melrose Vineyard),all by himself. 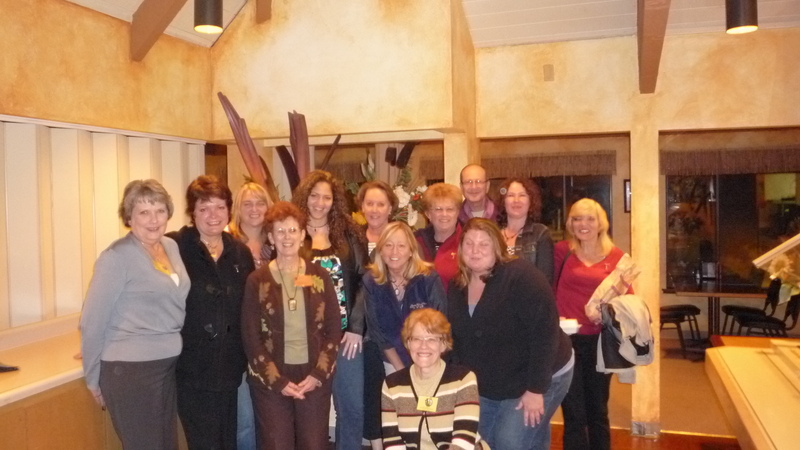 I went off to host a dinner in Roseburg for Women for Wine Sense. 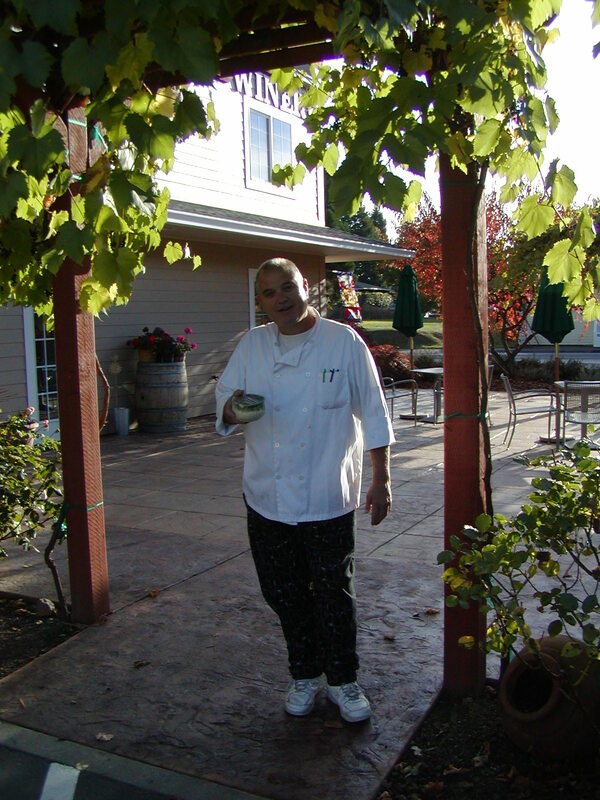 Hilda Jones from Abacela invited them down and since they didn’t stop by our tasting room, I got to serve Brandborg wines for their dinner held at the Wildlife Safari in Roseburg. What a great bunch of women! I had a blast! 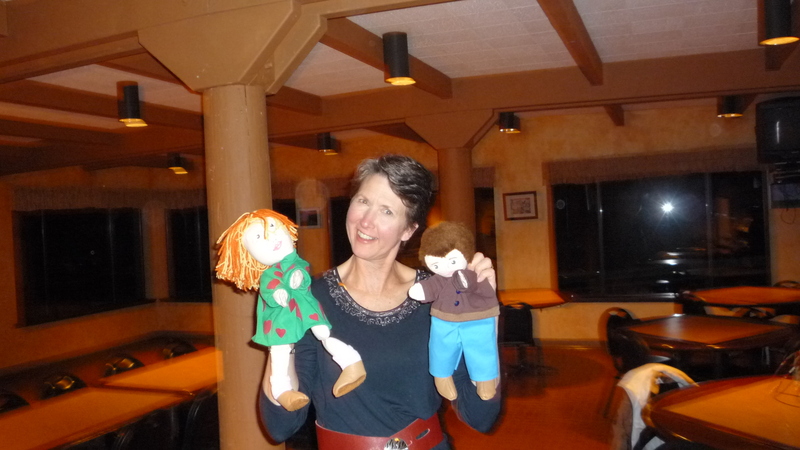 Hilda Jones from Abaceala playing with my props (is this what they do at these dinners)?? Things were pretty quiet today at the winery, the fruit we were supposed to receive will arrive tomorrow. On the vineyard side of things, all our measures to drive away the cedar waxwings have been unsuccessful. For those of you who aren’t familiar with them, they are a very beautiful small (migratory) bird, light gray with a yellow belly and a black mask like a raccoon. They send in their scouts and when the fruit starts to get close to ripening, they invite their whole extended families to join in on the feeding frenzy! It is enough to make a grapegrower grouchy and anxious. So we are rounding up some troups to help apply our netting tomorrow. A lot of labor, but when compared to losing your whole crop to birds, there is no comparison. We can’t quite figure out why they seem to be attracted to our vineyard and not the others in the area. Maybe due to the fact that we are an isolated hilltop, or maybe just because they know a good taste when they do! Cheers and looking forward to another day tomorrow! First Pinot Noir of 2008! 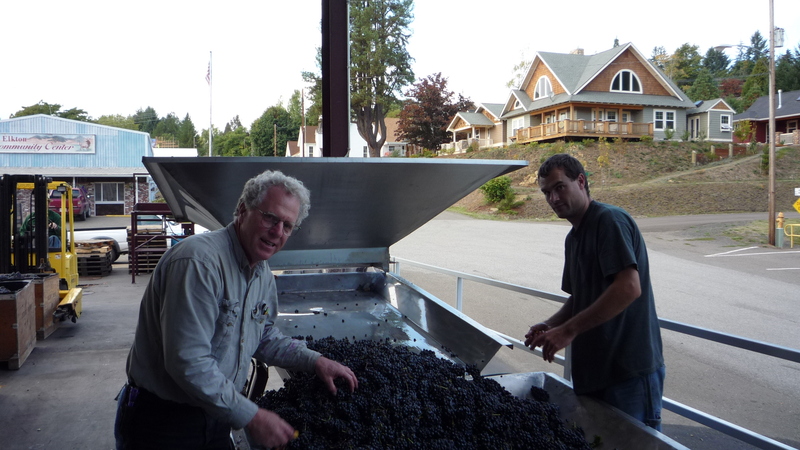 We crushed our first Pinot in Elkton today from the Westbrook Vineyard. 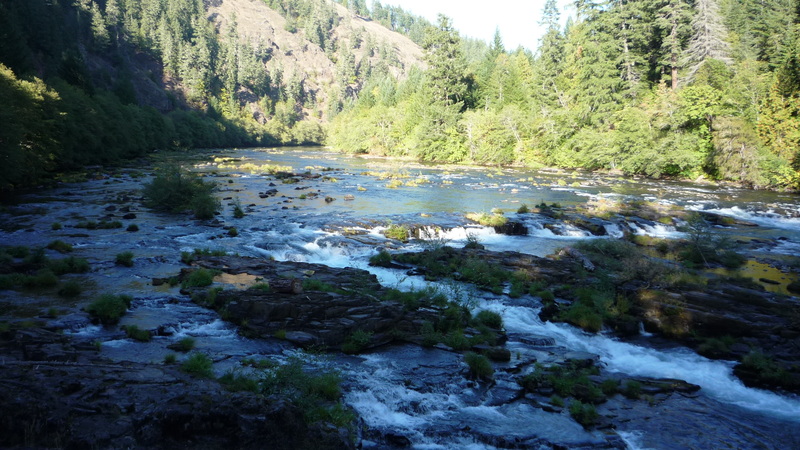 It is approximately 5 miles North of Sutherlin, OR. This fruit was harvested on Sept 16 last year. So…that makes it about 3 weeks behind. More photos to follow as soon as I figure it out! Exciting day, fruit arrived in great shape, clusters are smaller from this vineyard than they were last year. Grape flavor!!! 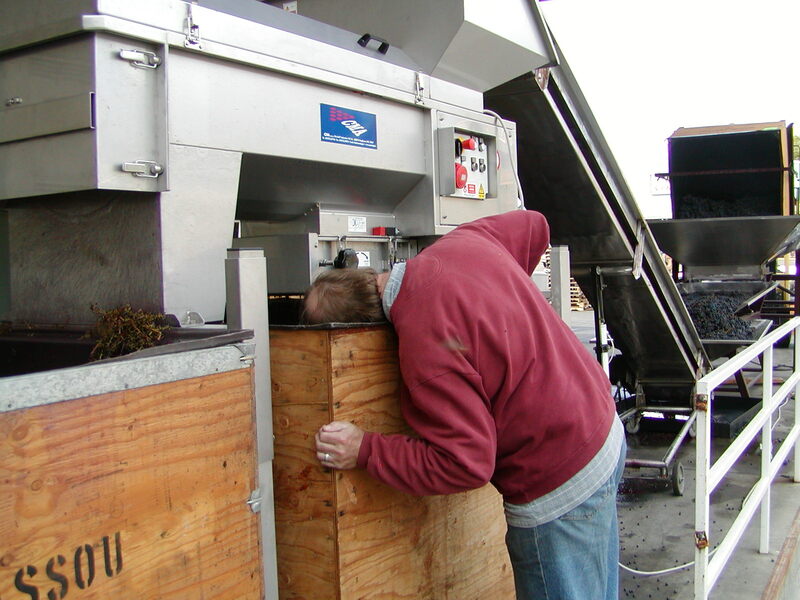 I experienced dumping the grape bins into the hopper, using the forklift, (might not seem like much, but it really is). Couldn’t get the smile off my face. 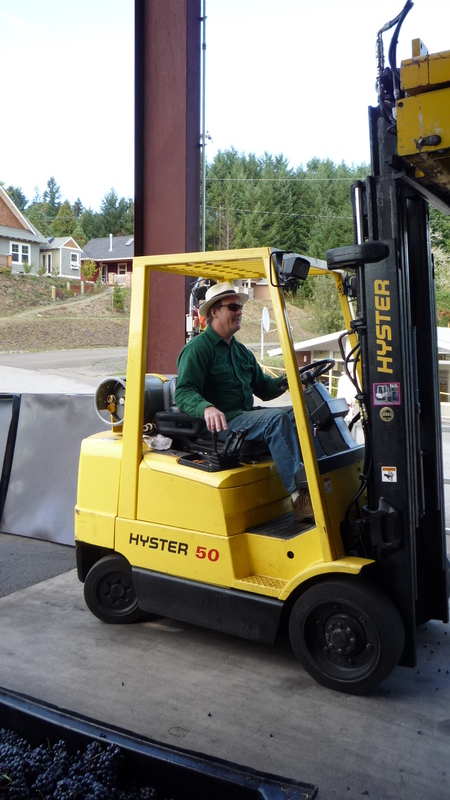 My husband, Terry , is a master with the forklift, he teases that he attended Fork U.